Activists behind the movement say their ranks are swelling by the day with people opposed to the White House’s raids and separation of immigrant families. Rights advocates across the nation plan to take to the streets Saturday to protest the Trump administration’s treatment of immigrant families, taking aim specifically at the crisis at America’s borders and the Supreme Court’s decision to uphold President Donald Trump‘s Muslim ban despite ample evidence of racial bias. 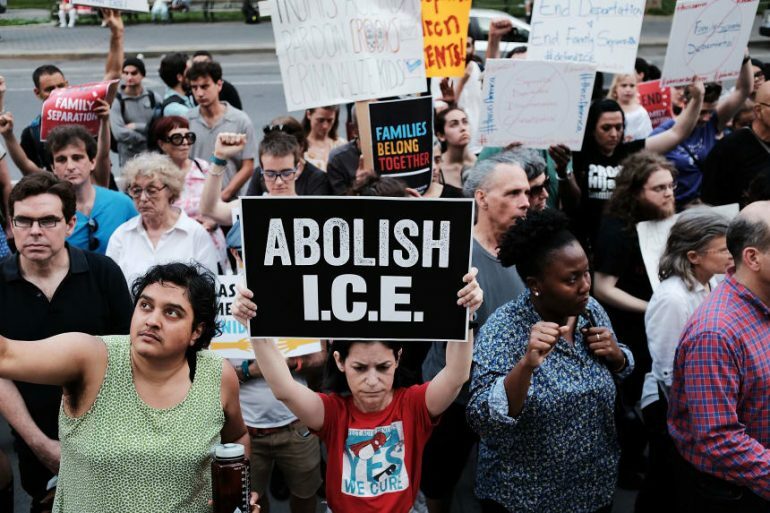 After the rallies, many will go home, but organizers anticipate that some will stay on the streets indefinitely, bolstering growing encampments outside Immigration and Customs Enforcement offices as part of a burgeoning call to Occupy ICE. “Right now, what we’re asking is for people to please consider joining us,” says Xavier Alejandro Cerrilla, an organizer with the LA Against ICE advocacy group.